3D Touch might be the selling point for the iPhone 6s and iPhone 6s Plus, but it is clear there is much more that can be done with Apple’s new standard for pressure-sensitive input, so the jailbreak community keeps reminding us. Ideas and conceptual designs that explore additional uses for Quick Actions or Peek and Pop are great, but an actual software extension is even better. There are already quite a few system tweaks on the Cydia store that aim to enhance the 3D Touch experience while others enable 6s-exclusive features on unsupported devices. Traverse, for example, lets users add custom Quick Actions to any app, Popcorn brings Peek and Pop to Home screen icons, and now, there’s a new tweak on the jailbreak store called 3DNotifications that brings 3D Touch Peek and Pop to notifications. 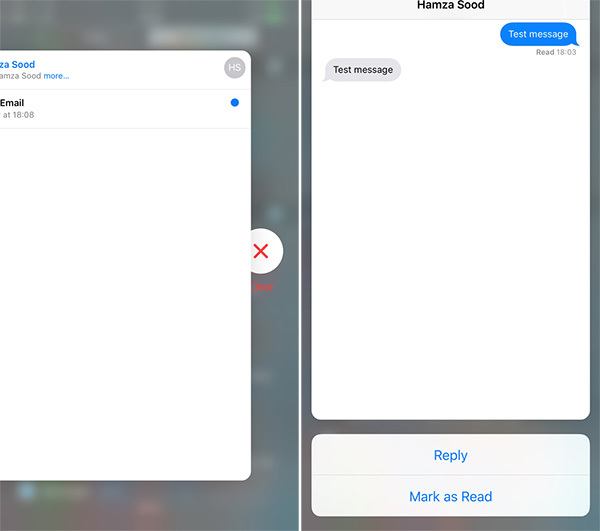 3DNotifications comes from Hamza Sood, the developer behind tweaks like UntetheredHeySiri and NewsOfTheWorld, and could prove to be one of those utilities that keep users with jailbroken devices from updating to a jailbreak-proof version of iOS. The Cydia tweak lets users hard-press over a notification within the Notification Center or the lock screen to Peek at the underlying content and press harder still to Pop right into the associated app. 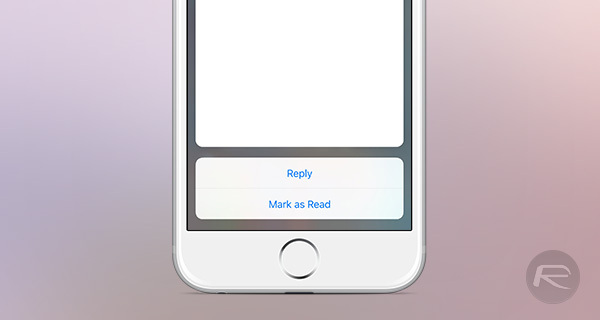 Like with the Peek and Pop feature employed by several apps for quick interactions with links or photos, the floating previews produced by this tweak can be dragged leftwards to dismiss the associated notification or upwards to view any quick actions that the notification might offer, such as Reply or Mark for Mail alerts. 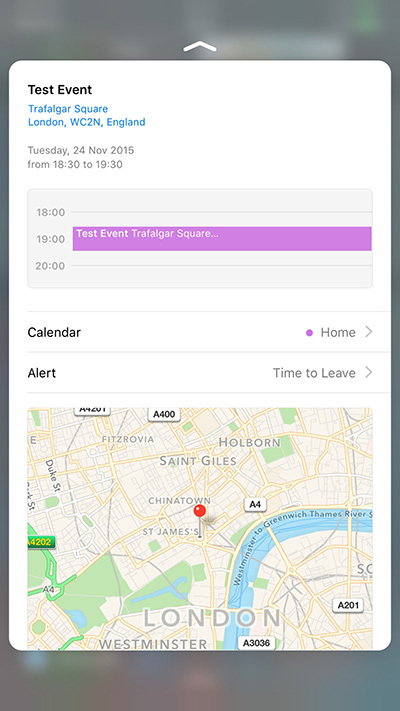 The tweak supports select apps and notifications as of this writing, which include Messages, Mail, Phone, Calendar and Wallet, though the developer promises support for more in future updates. Also, owing to additional layers of protection over the Mail app, you won’t be able to peek in on its notifications from the lock screen. This is, by far, one of the best 3D Touch-based jailbreak tweaks we’ve seen so far, and most definitely worth its $1.50 pricetag. Unfortunately, unlike most of the others from the current pool of 3D Touch tweaks, it is only compatible with the iPhone 6s and 6s Plus, that is, the Cydia store won’t allow you to install it on an older device. So, you’re out of luck even if you do have UniversalForce or revealMenu installed, and we’re not sure when that’s going to change, if ever. 3DNotifications is available on Cydia’s BigBoss repository.